I was wondering what sort of line storage methods people have settled into. I’ve been having mixed luck with the Nissin spools, line seems to cut through the side of the foam and the plastic edge and cause issues. Other than that I currently have my two “go-to” lines on the hard blue plastic edged holders which work fine other than taking up what feels like a lot of space! (certainly if say you’re on a longer trip and want to bring more options) For this reason the TUSA holder appealed to me but upon a bit further reading it seemed it was also quite large and cumbersome for what it needed to be, or have I been mislead? For storing lines at home I use cheap full foam spools for storing different line lengths / weights but could probably move these to card to be a bit more space savv. This may also lead me to be more inclined to take another line option away on work trips where space is at a premium. I think the foam ones are the best. There extremely light and effective. Welcome @duncanp. Glad you joined us. Here’s what I’ve settled upon (though I’m not using the blue plastic ones this year). I like the clip on line winders and the thin plastic ones the best. Edit: Oops. Guess I should have moved my throat lozenges. Nice to find a forum with plenty of relevant content! The ones that @davidsr references are the same ones that I have from Dragontail. You can also find them on eBay (occasionally) and on Amazon Japan and other Japanese websites. 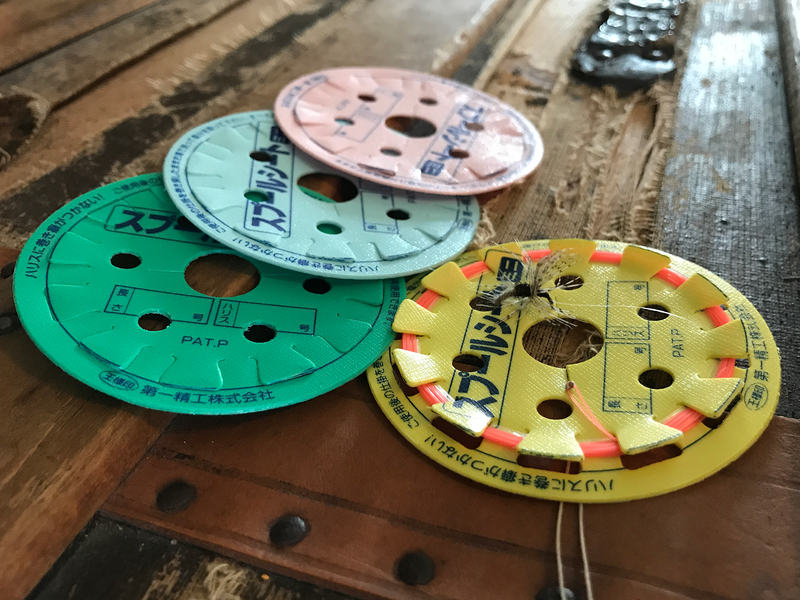 仕掛け巻き・スプールシート or 第一精工 スプールシート , Dai-ichi Seiko spool sheet. 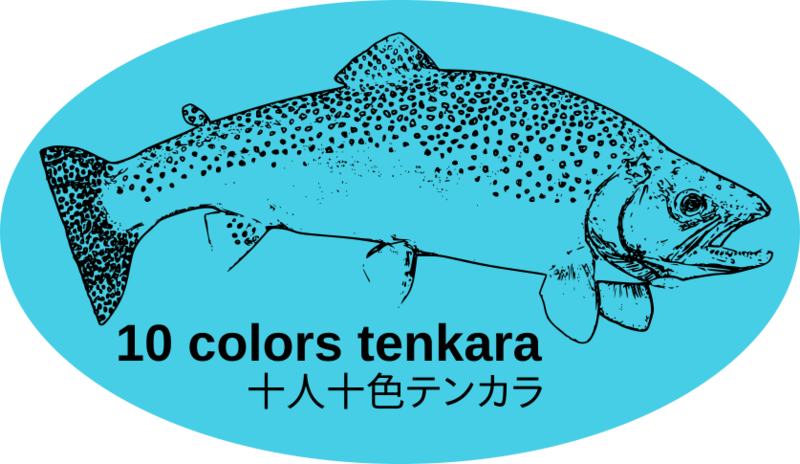 But if you would want them in a size other than the size carried by Dragontail you would have to order them from Japan via Amazon JP or Tenkaraya or other supplier. The Dai-ichi Seiko spool sheet ECO 5 sheet packs in M, L, and XL are listed on Amazon US, but only the large size is at a reasonable price of about $25, the other sizes have ridiculous prices of more than $440.00. I make my own out of heavy card stock in a different shape. 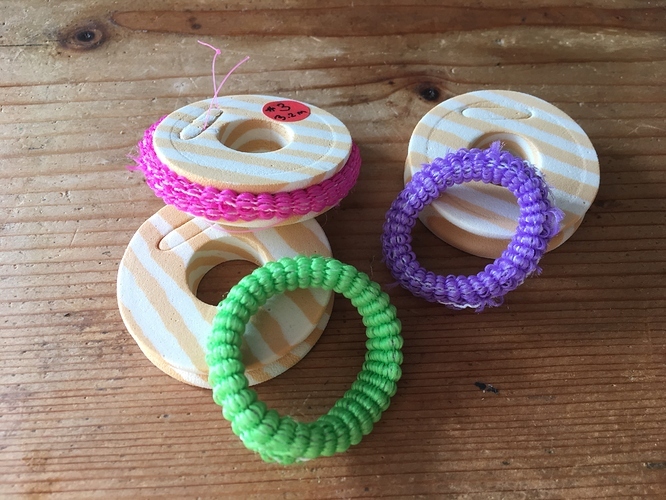 For line storage I prefer making them in a larger diameter. Fewer turns to wrap on more line. A diameter just under the width of large zip lock bags from the kitchen works well. Anyway, just wanted to present some options that you may find worth the extra effort needed to obtain them. Thanks for that David, will see what I can track down with the goal of not incurring more postage cost than product cost! I like the thin plastic ones for profile…and the grey foam ones for ease of use. They both can be bought at dragontail. They also sell a foam spool with a wood pattern but the grey ones are slightly wider and more consistent in form. The thin plastic cards take a little more time to wind line on…but 4 of them loaded with line have the same footprint as one foam spool. I notch one side of the foam spool with a razor at 1/4 intervals at the rim of the spool. Just a razor blade width channel to hold the start and ends of the line. 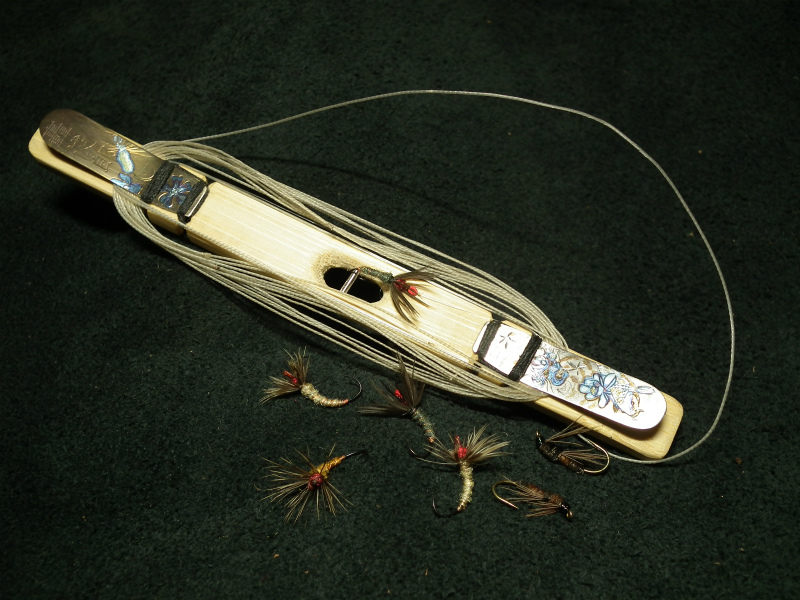 Below one of the rim channels i make anothe longer channel to house a fly. You can just pin the fly into the foam…but the recess is nicer and makes it more difficult to accidentally snag. 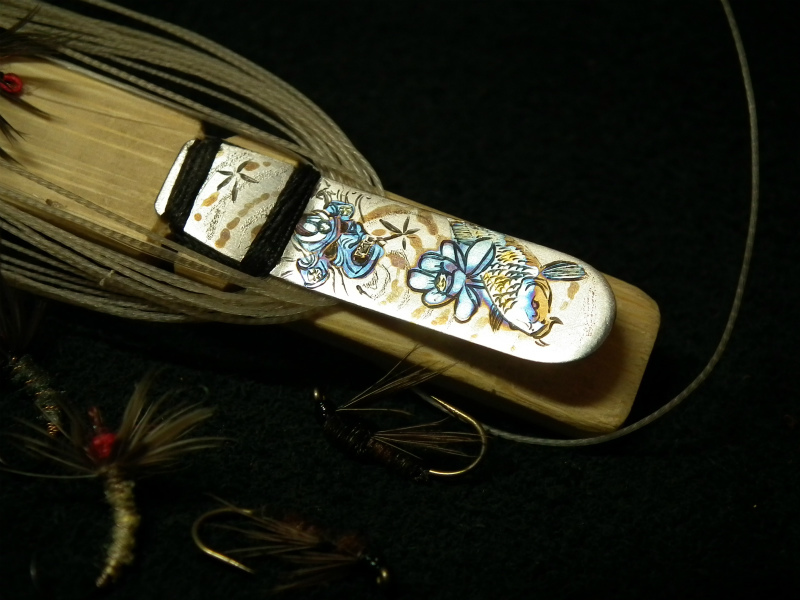 SUPER THIN Line Cards for your Tenkara Level Lines for the ultimate compact/light line storage. I notch one side of the foam spool with a razor at 1/4 intervals at the rim of the spool. I do something very similar with my foam spools too. Makes it much easier. Will try that with my current foam ones, will probably make me get on with them better! I’ve been having mixed luck with the Nissin spools, line seems to cut through the side of the foam and the plastic edge and cause issues. I bought one of the Nissin spools because I thought it was going to be the best, since it’s from Japan and everything. I have the same problems and kind of hate it. I used EZ Keepers for a while, until a couple of the tiny little parts fell off & disappeared. 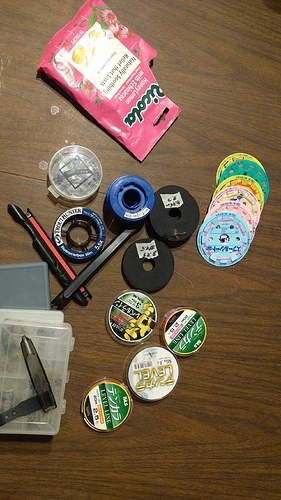 Now using a combination of a Nissin spool, old tippet spools and the foam spools. Planning to buy clip-on line winders soon. For what it’s worth, I use a few of my daughter’s pony-tail hair “scrunchies” to make the foam spools less likely to unwind. This is also useful for tippet spools that don’t come with a collar over the line or if that collar breaks. You can buy them in most drugstores cheaply. This is a prototype and we will improve it in the future. I do something similar, except I use the wide rubber bands that come on vegetables here at US supermarkets. I found these line cards earlier while pocking around. Makimaki set Eco Shikakemaki (large) 10 pieces. 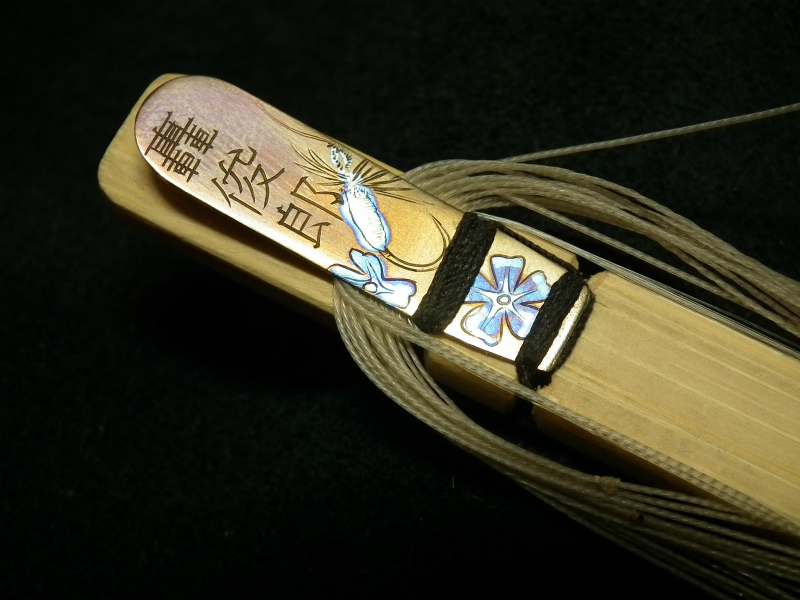 And have asked Keiichi-san to order them for me. 140mm (~ 5.5 inches) in diameter. I prefer larger diameter storage cards. Fewer turns & fewer coils. 980 yen on Amazon, so maybe not overly expensive after handling and shipping charges are added. Those will be substantially bigger than the ones I have and after shipping and handling, likley similar cost.